Looking for Single summit Trex Boots click here. From dog training equipment right through to winter dog clothing, Ruffwear never disappoints. Here at K9active we are continually surprised at the innovative products that they send our way and once again Ruffwear have provided us with a fantastic dog boot. These boots in particular are built specifically with high mileage in mind. Yet they are hardy enough to protect your dog's paws from salt and grit in the winter right through to warmer weather, where in turn, they are light enough to be worn on long walks. A nice mix of Grip Trex boots and Polar Trex. Once again, along with the other boots, the Summit Trex boot has a non-marking sole which is patented to Ruffwear and also provides fantastic grip on slippery surfaces. Hook and loop cinch strap which is reliable and easy to use. A great range of sizes and two colours. So if you are looking for boots and can't decide which set to go for, the Summit Trex boot are a great comfortable all-rounder and may just be what you need. 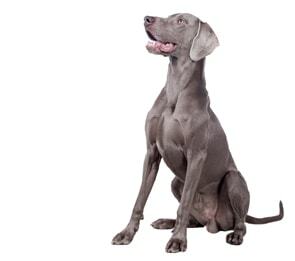 Lift your dog's opposite front paw so that weight is placed firmly onto the paw being measured. Mark Both sides of the weighted paw at it's widest point on the sheet of paper. Measure the distance, and choose the correct boot from the sizes below. Note: Front and back paws may be significantly different. 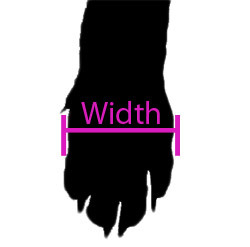 We advise also measuring a back paw using the same method above in case you need to order seperate sizes for front and back paws.